In the fall of 2014, students at The Hun School of Princeton established a new club on campus – Buddies Without Borders (BWB). The club promotes friendship between international boarding students and day students. Originally conceived to bring together pairs of students for greater cultural understanding, the club shifted its focus in 2015 to include lively events that celebrate cultures and provide opportunities for students to come together en masse. Since the start of the academic year, the club has played an important role in teaming with various diversity groups on campus to host meaningful cultural events for The Hun School community. The club promotes friendship and cultural exchange on campus, but they have also led and participated in outreach and world events. In October, BWB hosted a Hispanic Heritage Dance, its first cultural event of the academic year. Students and faculty enjoyed Salsa dancing, Spanish food and camaraderie in Breen Family Campus Center. Additionally, when the Middle Eastern Society hosted a Hafle dinner to support Syrian refugees, BWB worked to promote student attendance. And, following the terrorist attacks in Paris and Lebenon, BWB organized a candlelight vigil. Members of BWB have also attended and helped to organize the Diwali, Hanukkah, and Kwanzaa celebrations of 2015. 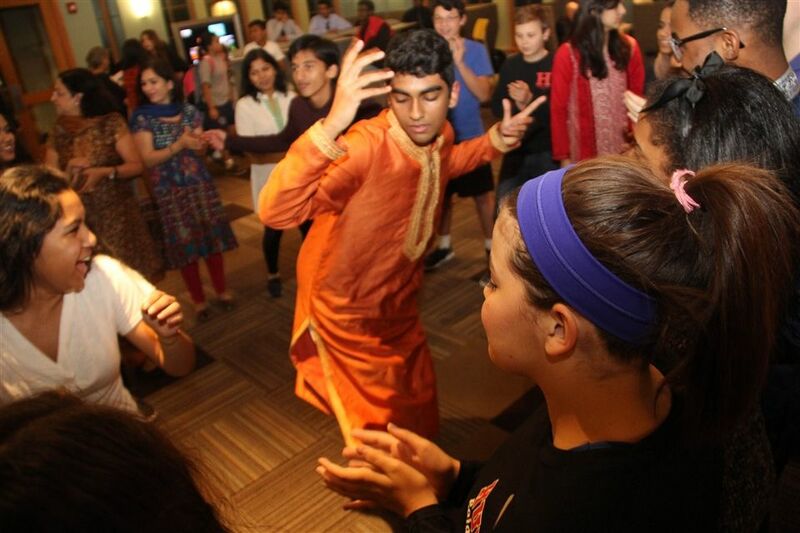 Students in The Hun School community celebrated Diwali earlier this year.